Saint Agatha has been venerated as a virgin and martyr since the time of her death in AD 251. Besides the Blessed Virgin Mary, she is only one of seven women saints commemorated in the Roman Canon (Eucharistic Prayer 1) and as early as the fifth century had two churches in Rome dedicated to her. Born in Sicily to a noble family, Agatha was a devout Christian who dedicated her virginity to God. Pursued by Quintianus, a prefect or governor, she rebuffed his advances. He had Agatha arrested for being a Christian and forced her to renounce Christ. Her documented legend speaks of the brutal interrogations and torture she endured at his hand. When she refused she was imprisoned in a brothel, then a prison, stretched on the rack, burned with red hot irons and had her breasts cut off. She had a apparition of St. Peter as a physician and was miraculously healed of her wounds. Four days later upon further interrogation and to the surprise of her torturers, she was condemned to death by rolling her naked body in broken glass and hot coals. At the very moment of her final torture a great earthquake struck the region. 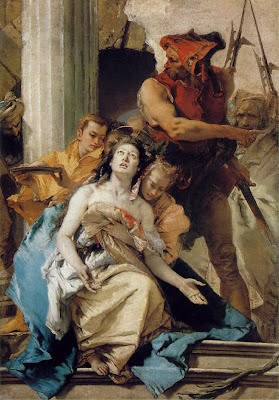 Immediately before her death Saint Agatha was heard praying, "O Lord Jesus Christ, good Master, I give You thanks that You granted me victory over the executioners' tortures. Grant now that I may happily dwell in Your never-ending glory". For more reading, go here and here. Saint Agatha is the patron saint of breast cancer and victims of sexual assault. rise to your heavenly courts. In John 14:6 ... “I am the way and the truth and the life. No one comes to the Father except through me..."
in vs. 14 He said "If you shall ask any thing in my name, I will do it"
John 16:23 ...I tell you the truth, my Father will give you whatever you ask in my name. Have you ever asked a friend or family member to pray for you or someone else? Asking a saint to intercede is the same thing. 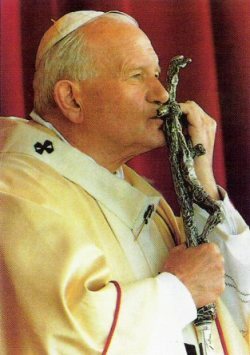 The one difference is that the saint is already in Heaven, closer to God than we are. The prayers of the saints are very strong. We are not asking for the saints to answer our prayers, we asking for them to pray to the Lord our God for/with us. There's no doubt that Jesus is The Mediator between us and His Father--He said so. But when you ask a friend to pray for you or for your intention, isn't that asking that friend to mediate and intercede to God on your behalf? How is it any different to ask the same of those holy men and women who have gone before us--surely we as Christians believe in life after death! Are they not friends and brother and sisters in Christ's body? I'd say so. 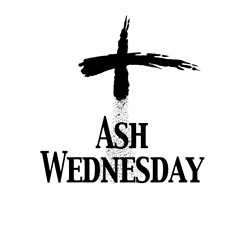 Check out James 5:16 "pray for one another"; and LK 6:28 "pray for those who spitefully use you"; and Rom 8:26 "but the Spirit [not Jesus] itself intercedes with inexpressible groanings"; and Rev 8:4 "And the smoke of the incense, which came with the prayers of the saints, ascended up before God out of the angel's hand"; not to mention 1 Timothy. Our prayer to God does not change His mind or alter His divine plan, but serves to orient ourselves to Him. Intercessory prayer awakens in us what God already deigned to give us. I'd like to share this on our FB page, but instead of posting part of your information near the icon picture, the question from Pascah above is listed. Although I hope people read his question and your answer, it would be much less confusing if a portion of Agatha's story appeared instead. Is there anything that can be fixed about that? Thank you! Try now...I reposted. My Lenten resolution is to get back to the blog. God bless and thanks.